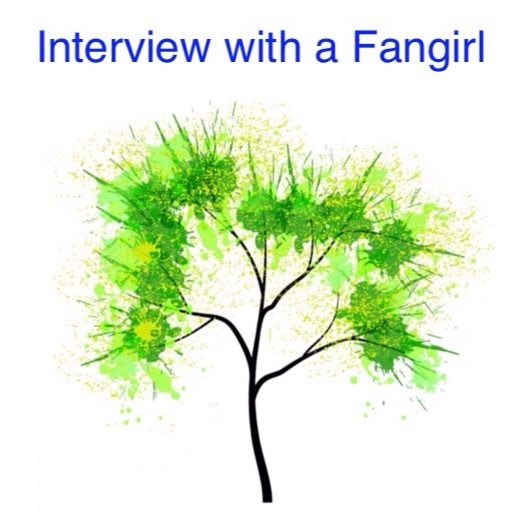 I am continuing with my series of interviews with Fangirls that I have met through social media! Today, it is my pleasure to interview Blogger, Podcaster and Fangirl Shay! I became aware of Shay through the Twitter Star Wars Fangirl Community! Welcome Shay to The Adventures of The Everyday Fangirl and thank you for taking the time to answer these questions about being a Fangirl. When did you realize you were a Fangirl? I actually didn’t realize I was a “fangirl” until fairly recently. I’ve always been really into sci-fi, fantasy, and the like, and I have that kind of personality where, if I set my mind to something, I pretty much never let it go. I’ve been crazy about Star Wars on and off for years, but only a few years ago did I actually really begin to be more open about it, discovering podcasts, fan sites, cosplay, and all the other awesome aspects of it. How has social media helped or hindered you? For me, social media has been very helpful, though I’ve only had limited exposure to it. I just began with Twitter a few months ago, and it’s been a big help in keeping up-to-date on all the news, theories, and getting connected with all the other amazing fans out there. One of the biggest things that got me back into Star Wars, and caused me to be as active in it as I am now, was getting to know several other major Star Wars fans about my age though a chat-board. All of us started talking about it together, and it was actually through people on there that I was first exposed to terms such as “fangirl”, “shipping”, and “feels”. We all help each other grow in our love for the series, talking through all our theories, and sharing our knowledge with others who are new to it all. It was amazing. In fact, those guys are the biggest reason why The Elven Padawan even exists today; had it not been for their enthusiasm and overwhelming support when I first mentioned the idea of starting my own podcast, I probably never would have started that endeavor. Because of each other, we’ve all gotten way more involved in this stuff than we ever intended to be, and it’s been a fantastic ride all the way. When did you first see Star Wars or other favorite fandom, such as Star Trek, Lord of The Rings, etc. and did you love it right away or did this grow on you over time? I first saw Star Wars when I was very young, probably around the age of three. I still remember walking into our media room and finding my dad watching The Phantom Menace. I was immediately drawn in by the odd green guys with funny hats and no noses, and the girl with the enormous red dress who looked like she was wearing an upside-down chandelier on her head. I watched the prequels a lot over the next several years, and absolutely loved them, even though I didn’t totally understand all the details of the story. For some reason, my love for the movies died away, and I went through a lapse where I could care less about Star Wars. I basically avoided it as much as possible. Then all of a sudden, several years ago, my dad bought and began watching through the entire saga with my sisters, and I found myself right in the middle of it again. Then came the announcement of work beginning on another movie, and by the time The Force Awakens released, I had become a big fan of the animated branch of the story though Star Wars Rebels. What have you learned from the Star Wars fan community or other fan communities that has had a positive impact on your life? You can always find something to talk to people about. There’s no excuse to not be friendly to people just because you’re completely different. To quote an old Jedi proverb we first heard from Bail Organa, “The smallest gesture of kindness can fill a galaxy with hope.” One of the greatest kindness I can show, or that you can show me, is taking the time to talk to me and listen to what I have to say. I’ve made very good friends with people I know only through internet correspondence, and had great conversations with people, all starting with each of us finding out that the other liked the same story. That’s amazing to me, how a teenaged girl can just walk into a random comic book store a state away from where she lives, and strike up an in-depth conversation with a middle-aged man who works there about Grey Jedi, whether Luke actually has to be the only Force-user in the Rebellion, and if Kanan Jarrus is technically a Jedi Knight (and yes, this actually happened to me this summer!). What else do you Fangirl about? I was introduced to The Lord of the Rings series a couple years ago, and immediately picked up with that franchise. It reminded me a lot of Star Wars in many ways, and I loved how deep and involved it was, with all the different locations, time periods, races, and cultures of Middle-Earth. Since I saw the movies first, they always hold a special place in my heart, but nothing compares to Tolkien’s original books. And yes, that includes The Silmarillion, Beren and Luthien, The Children of Hurin, not just LOTR and The Hobbit. I’m also a huge reader, so if I’m not talking the ears off someone about something that’ll have an 80% chance of turning fandom or philosophy related, planning another cosplay, or trying to figure out lightsaber moves in the driveway with a bamboo pole, I’ve probably got my nose stuck in a book somewhere. Anything else you want to say to others about being a Fangirl? Don’t be afraid to get your voice out there because you don’t have the same opinions and thoughts as everyone else in the fandom! A lot of my own theories and the things I believe are totally different than the ones currently trending with a lot of the loudest voices in the fandom, but that’s OK. You’ll find that if you get your voice out there, there are a lot of people who think like you who will come out, too. I never thought I’d find other kids my age who were as involved in the deep aspects of the mythology of Star Wars as I am, and who draw the same connections to real-life things like history and theology, but I started talking and putting myself out there, and I’ve connected with some great people. And you’re going find a lot of people who might not agree with you all the time, but are still supportive and awesome and try to help you out anyway. There are still those out there that like to look down on you because you love a certain trilogy, or like Tauriel even though she wasn’t in the book, or just for being a fangirl in general, but don’t let that change who you are. Where can others interact with you?